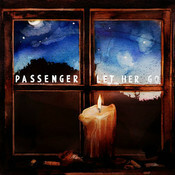 Are you trying to find the piano sheet music for Let Her Go, the song phenomenon by British singer/songwriter Passenger which has exceeded a billion views on YouTube? 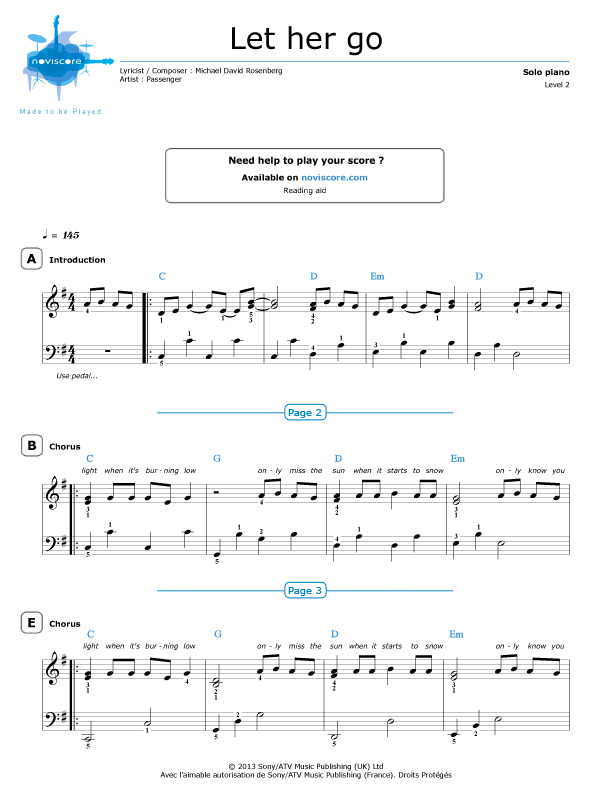 If so, then you are in the right place! 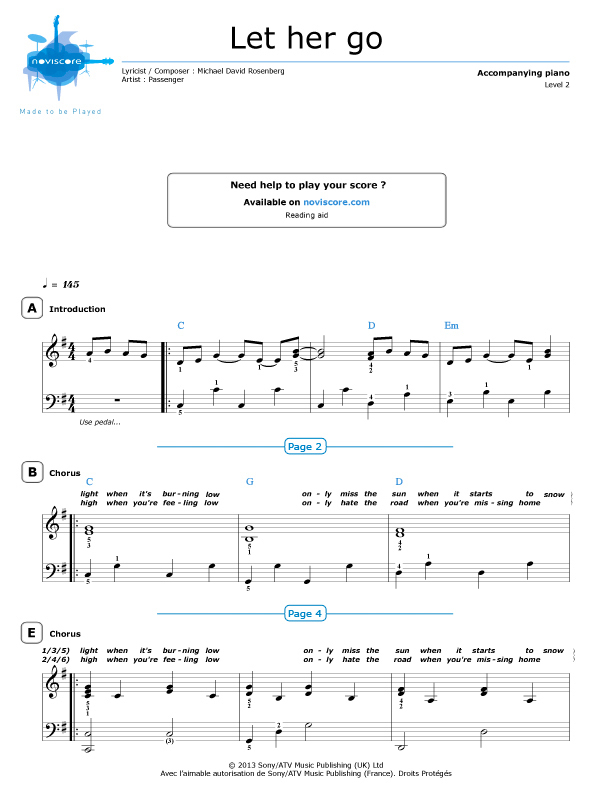 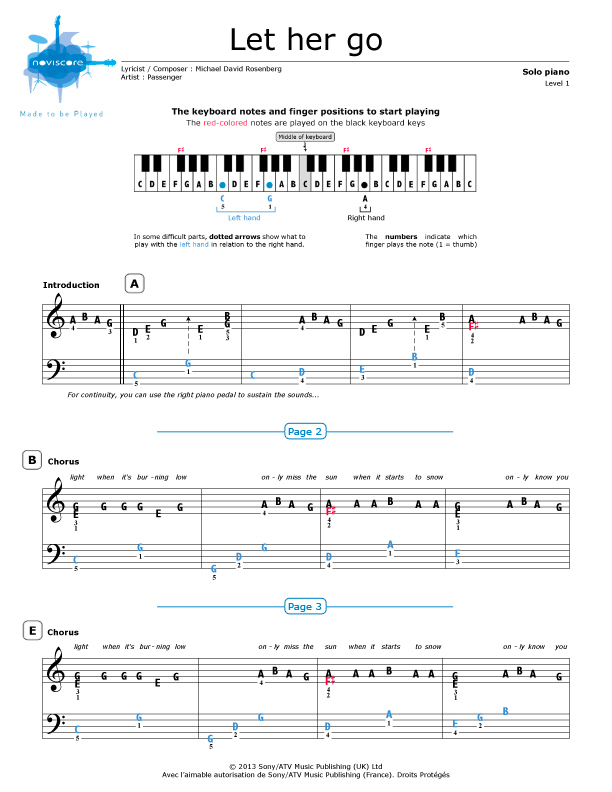 From Passenger's third album "All the Little Lights" released in 2012, it is our pleasure to present below our Let Her Go piano sheet music available in three different levels of difficulty. 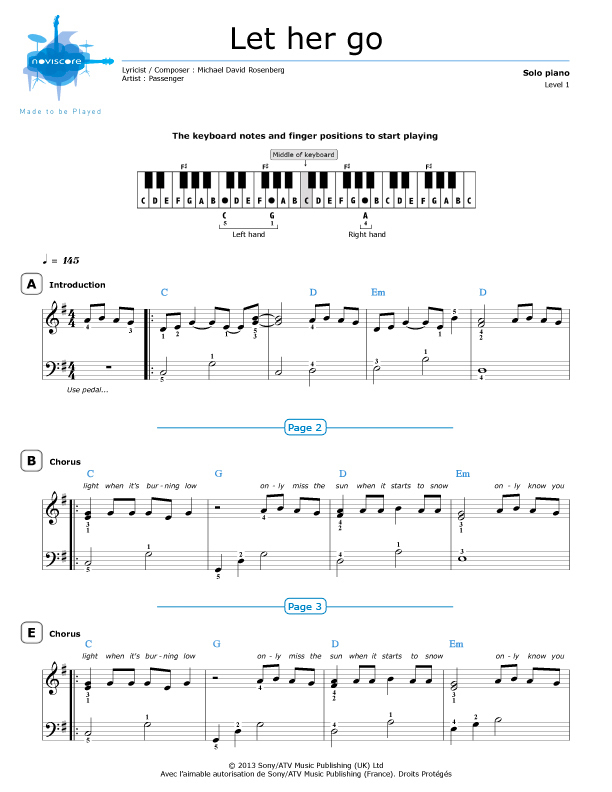 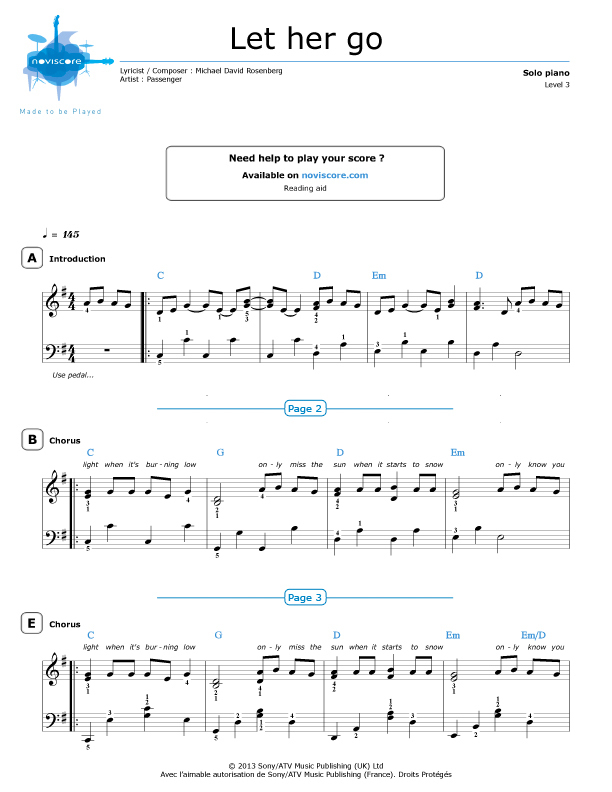 Our Level 1 easy piano "with note names" is written like a piano tablature so that beginners who have trouble reading sheet music can still enjoying playing the song. 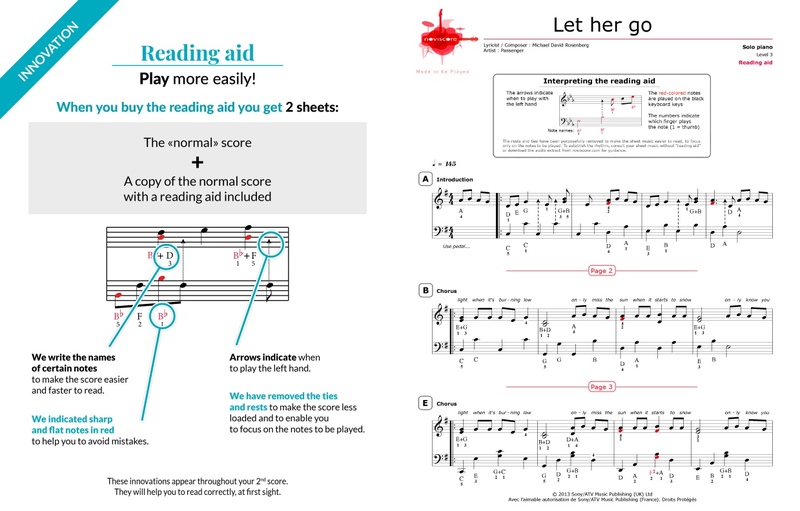 More advanced pianists can choose between 2 levels for piano solo or a Level 2 piano accompaniment version with reading aid if required.